Day 19 of the Heapnose Perfume Diary. 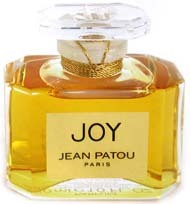 Today I’m wearing Joy by Jean Patou. Armani announced this month the intended release of their newest fragrance “Acqua Di Gioia” – Quite literally a perfume designed to capture the essence of Joy. Given, however, my recent and palpable absence of “Joy”, I find myself simply unable to summon the good cheer necessary to review such an inoffensive perfume – and have opted instead to launch a vitriolic and unprovoked attack on Jean Patou, for his horse-piss excuse of a perfume, also, and misleadingly entitled “Joy”. Favoured only by nostalgic perfume critics and women in their 80s, It smells like a combination of drains, cat pee and my Great Aunt Emily. When I smell it I’m reminded that my boyfriend is 3000 miles away, my best friend is moving to Paris, Richard Armitage will probably never love me, I’m unlikely to find fame as a horse whisperer, the Tories are in power and the comfort eating is beginning to show. Short of being holed up under a wrestler’s armpit, immediately after he consumed a chicken korma and performed a large and satisfying pooh, I simply cannot imagine a fragrance which I could like less. Next time more Joy I promise. But for now, more cake.